The total cost of imported oil can’t be measured solely in dollars per barrel. The real costs include the risks associated with buying oil from countries increasingly at odds with American values, turmoil and violence in exporting regions and transportation routes, and environmental concerns. Imported oil is not produced according to California’s stringent environmental and safety standards. But despite that, and despite the fact that California has all the gas and oil the state needs in the ground beneath our feet, we are still importing foreign fuel in large amounts. In 2017, California produced approximately 30 percent of its own oil and imported the rest, with more than half of its imports coming from foreign countries according to the U.S. Energy Information Administration. Of the total, more than 28 percent came from Saudi Arabia and 20 percent from Ecuador. The U.S. Energy Information Administration predicts that in 2050 fossil fuels will continue to provide nearly 80 percent of the nation’s energy. The risks associated with imported oil are varied; they include contentious geopolitical, environmental and transportation issues. And oil is not something we can do without, now or in the next few decades: The U.S. Energy Information Administration predicts that in 2050 fossil fuels will continue to provide nearly 80 percent of the nation’s energy, while renewables will provide about 16 percent. Oil has been used as a strategic weapon. “In the 1970s, the Organization of Petroleum Exporting Countries represented a big chunk of the world’s production,” said Fariborz Ghadar, PhD, senior scholar at the Center for Strategic and International Studies in Washington, D.C., a nonprofit think tank. OPEC’s six-month oil embargo in 1973 tripled the price of oil during the Yom Kippur War. “Since then, OPEC’s influence declined substantially as exploration opened fields throughout the world.” Though OPEC’s control has declined, it still extracts about 40 percent of the approximately 100 million barrels of oil produced daily across the globe. In 2017, California produced approximately 30 percent of its own oil and imported the rest, with more than half of its imports coming from foreign countries. The national security risks of relying upon foreign energy extend beyond OPEC, the U.S. Council on Foreign Relations cautioned in the 2006 task force report “National Security Consequences of U.S. Oil Dependency.” Russia, as one example, has used its natural gas reserves to gain strategic advantages in Europe and to punish former Eastern Bloc allies that have sought greater ties with the U.S. and the European Union. They famously curtailed gas supplies to Ukraine in five of the last ten years, including this winter. That reduced Ukraine’s gas supplies by 70 percent – and because Europe gets gas via Ukrainian pipelines, it reduced Europe’s supply by 30 percent, causing severe economic losses across many borders. Producing oil in foreign countries, where regulations are far less stringent than in California, can lead to greater emissions. 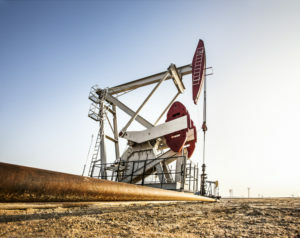 “Oil is not fungible, environmentally,” said Adam Liska, PhD, associate biological systems engineering professor at the University of Nebraska-Lincoln. “Depending on where it’s sourced and how it’s processed, large differences in greenhouse gas emissions can result.” California’s oil and natural gas regulations are some of the toughest in the U.S., and America’s federal environmental regulations are among the strongest globally. Energy self-sufficiency can eliminate many of those challenges. California’s extraction methods are among the cleanest and safest in the world, Ghadar said. California oil is an ecologically sound alternative to foreign oil, with development and refining regulated by more than 20 federal and state agencies. For example, in-state oil and gas production facilities are subject to California’s pioneering greenhouse gas cap-and-trade program, as well as intensive regulations governing well construction, health and safety, water use, monitoring and disposal, hydraulic fracturing, spill prevention, control of air emissions and habitat protection. 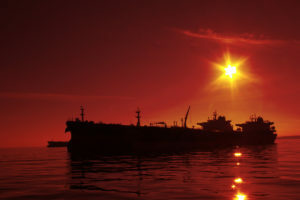 It costs about $2 to $6 a barrel to import oil by tanker, and costs only go up from there. Developed economies run on oil, and the United States is no exception: “We either must produce oil domestically or import it from other nations that often lack strict environmental protections,” Ghadar said. Given the environmental and geopolitical costs, sourcing petroleum locally makes sense. It’s as simple as the law of supply and demand: Plentiful supplies of energy here in California help keep money in your wallet when you pay your electricity bill and stop at the pump. In fact, Boston Consulting Group estimates that U.S. households have saved $800 a year because of America’s increased natural gas production; the savings come from lower heating and electric bills, plus the reduced cost of goods that comes from cheaper energy. There’s another way that producing oil and gas in California keeps prices down: by lowering the cost of transportation. For example, it costs about $2 to $6 a barrel to import oil by tanker, and costs only go up from there: According to a report by the Congressional Research Service, it costs $10 to $15 per barrel to ship oil by rail from Alberta, Canada or North Dakota. Whether you’re looking at it from a national security standpoint or an environmental one – or just adding up dollars and cents – it’s smart to produce oil and natural gas here in California. How does Amanda Gordon of Tribe Fitness empower mothers to prioritize their well-being? 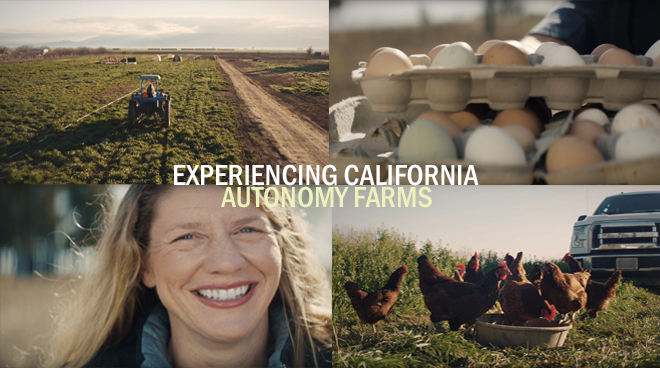 What made Meredith Bell decide to follow her passion to start her own farm? Powering California is brought to you by California Resources Corporation (NYSE: CRC) to inspire energy literacy and provide helpful information about energy and the benefits of oil and natural gas. © 2018 California Resources Corporation. All Rights Reserved.